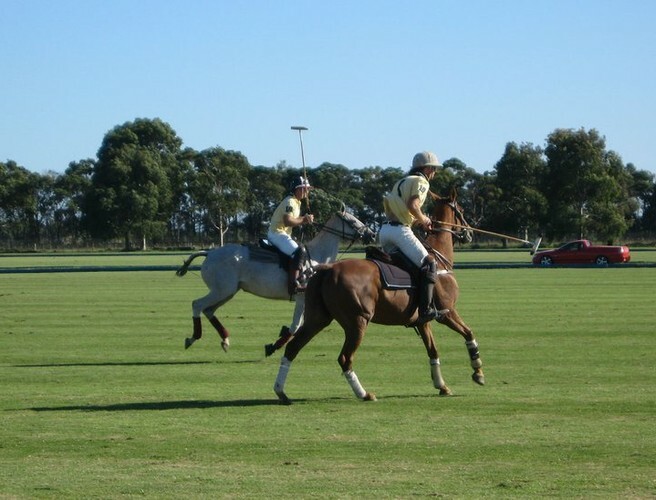 Join the country polo action in the picturesque Yarra Valley, just 45 minutes from Melbourne. "Kellybrook Polo Lounge" - $130 for the ultimate polo experience. 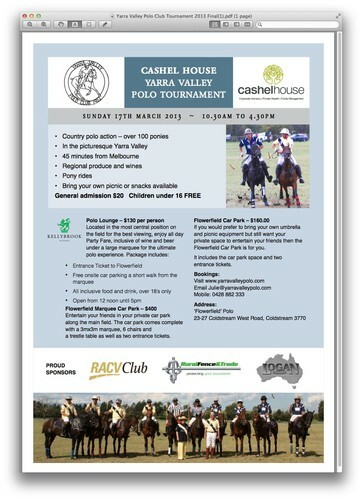 Enjoy all day country polo fare, along with Yarra Valley wines and cider, beer and soft drink). Celebrate in absolute style with the most central position on the field for the best viewing on the day. Includes entrance ticket to "Flowerfield", on site parking, and all food and drink (over 18's only). Open from 12.00pm till 5.00pm. Bookings close Friday 8th March. 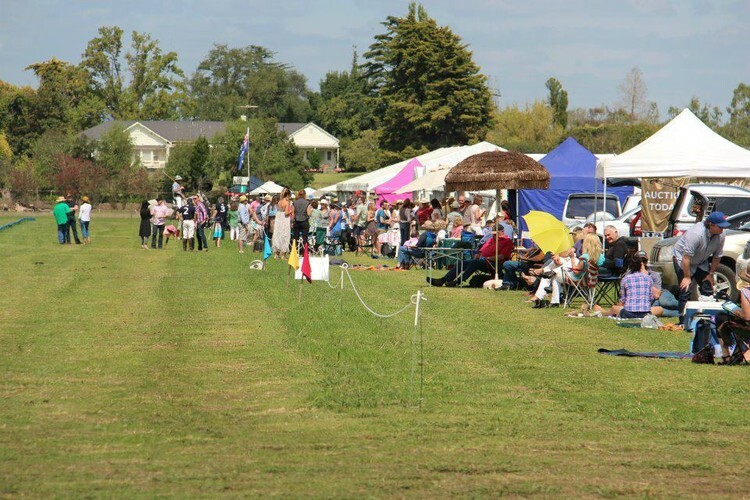 "Flowerfield Car Park" $160 per car space (includes reserved space, 2 entrance tickets- reserve your car space right beside the field, drive your car up field-side and unpack your picnic (or purchase food on site). Don't forget the wine glasses (Yarra Valley wine, including "bubbly", available for sale) and your market umbrella.